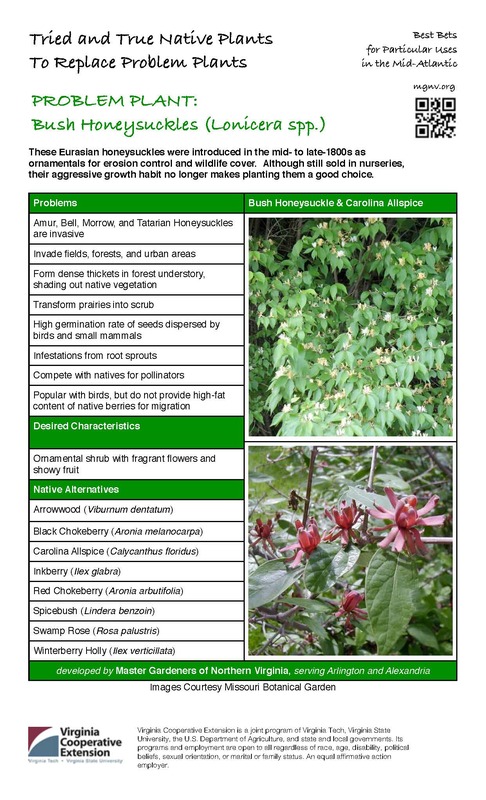 These Eurasian honeysuckles were introduced in the mid- to late-1800s as ornamentals for erosion control and wildlife cover. Although still sold in nurseries, their aggressive growth habit no longer makes planting them a good choice. Learn more about these plants: Tried and True Fact Sheets.